The Senate on Monday overwhelmingly confirmed Robert Wilkie to head the Department of Veteran Affairs. With a vote of 86-9, Wilkie, 55, will officially replace former VA Secretary David Shulkin, who was fired by President Donald Trump in April. Shulkin was accused of using taxpayer funds to pay for a personal trip to Europe and misleading ethics officials to cover it up. "I applaud the United States Senate for confirming Robert Wilkie as the Secretary of Veterans Affairs," Trump said in a statement. "Mr. Wilkie has dedicated his life to serving his country with honor and pride. He has displayed great patriotism and a commitment to supporting and empowering America's armed forces and veterans. Under his leadership, I have no doubt that the Department of Veterans Affairs will continue to make strides in honoring and protecting the heroic men and women who have served our Nation with distinction." [post_ads]A handful of Democrats opposed Wilkie's appointment, including Sen. Kamala Harris, D-Calif., who cited his past attendance at Sons of Confederate Soldiers events, as well as his criticism of transgender troops in the military. 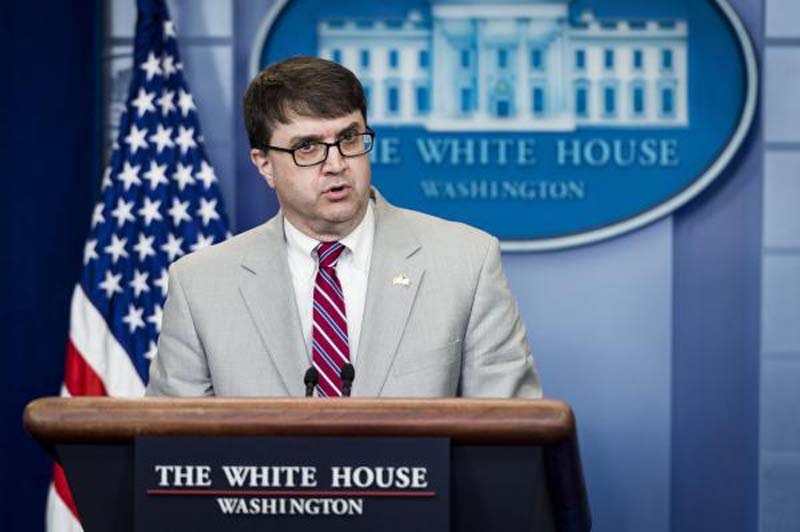 "From his history of celebrating those who fought for an America that kept human beings enslaved, to his efforts to justify Trump's ban on transgender troops, Robert Wilkie is a far cry from the best person we can find to put in charge of our veterans' care. We owe them better," Harris said on Twitter. During his nomination hearing last month, Wilkie said he stopped attending pro-Confederacy events "at a time when that issue became divisive." Wilkie also drew criticism for his past role as an aide to late Sen. Jesse Helms, R-N.C., in 1990, when Helms ran racially charged campaign ads against his opponent, Harvey Gantt, a leader in the state's black community. Wilkie, whose career has mostly been spent in the Pentagon and defense industry, will now lead one of the largest federal agencies with nearly 350,000 employees and a $200 billion budget.